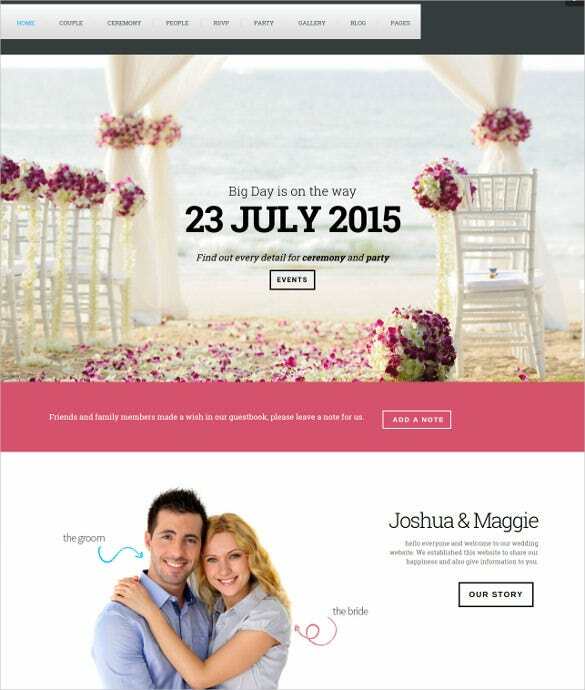 Update all your guests with the events, timings, venue decided and the latest gossips like the jewelry selection, gown chosen, tasks assigned to the bridesmaids and a lot more with a website made just for your wedding. 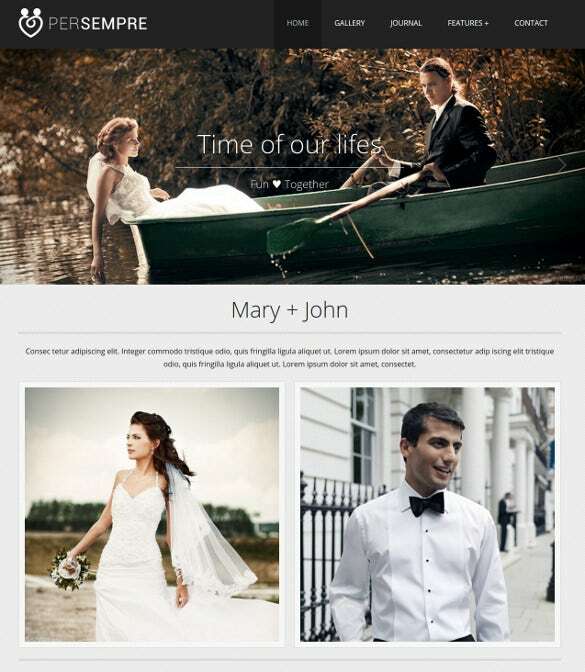 A classy website can be created easily with our wedding PHP themes and templates.You may also look Wedding PSD Themes. 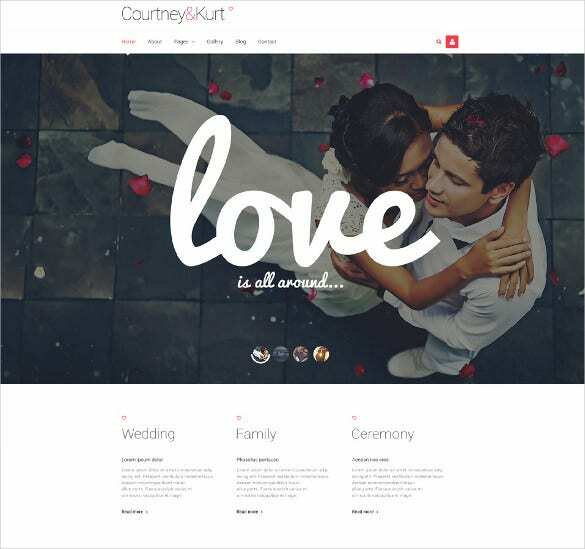 This great wedding responsive theme would be excellent for wedding DJs. 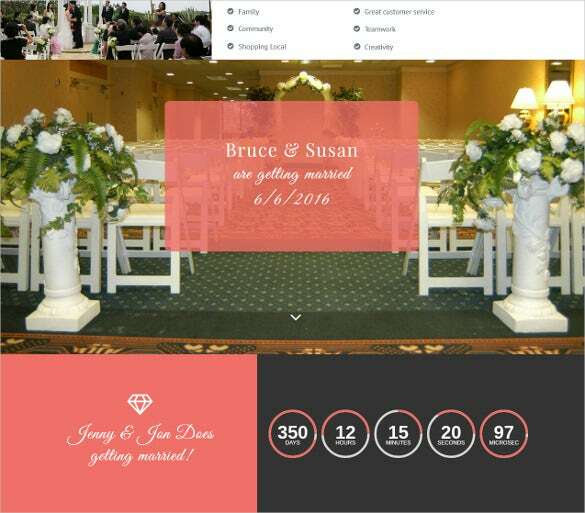 It starts on a beautiful note with a lovely picture of a bride & groom and a countdown timer. 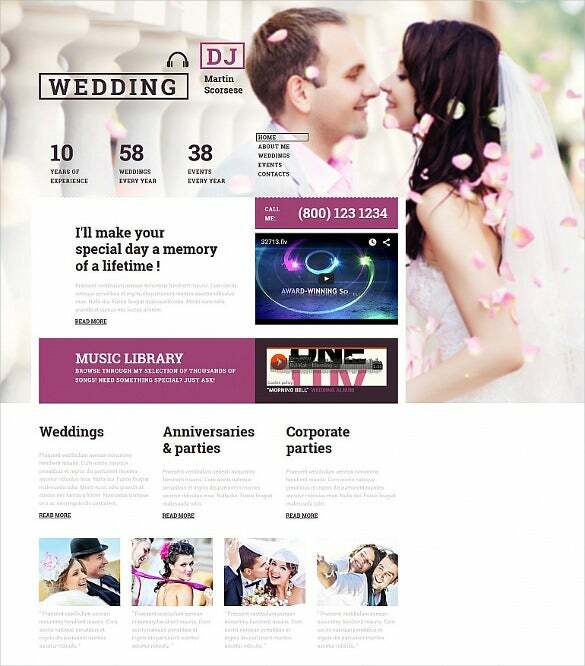 It is followed by your assurance of unforgettable music for wedding and other parties. 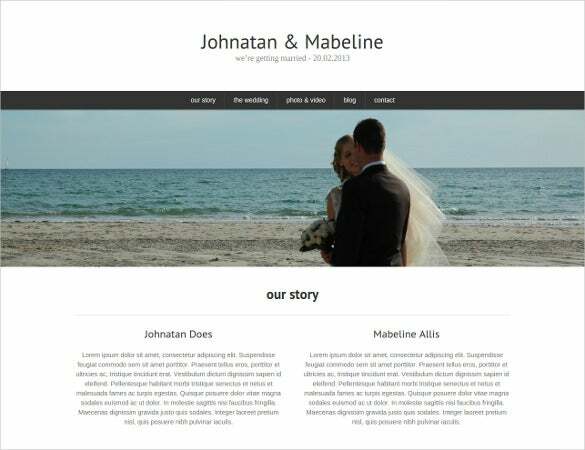 This is an extremely cute responsive wedding invite template which opens up with the individual pictures of the groom and the bride in heart-frames. 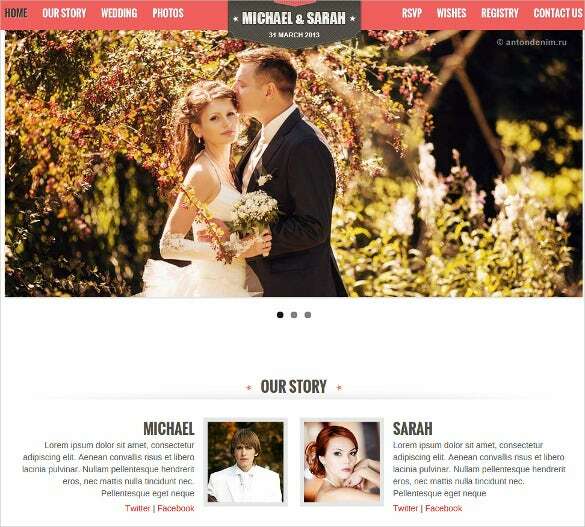 There are just individual descriptions on both followed by wedding details. The theme here has come up in a pleasing combination of white and pink palette and the joyous selfie of the couple is radiating in true love. 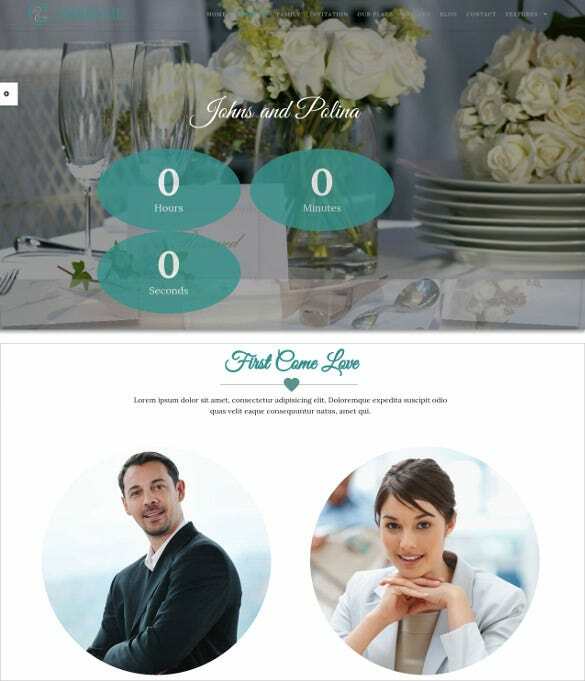 You are getting a countdown timer here and the site enables you to state both about your engagement and wedding. The two fine champagne glasses subtly speaks about your upcoming special event and is duly followed by pictures of the couple. 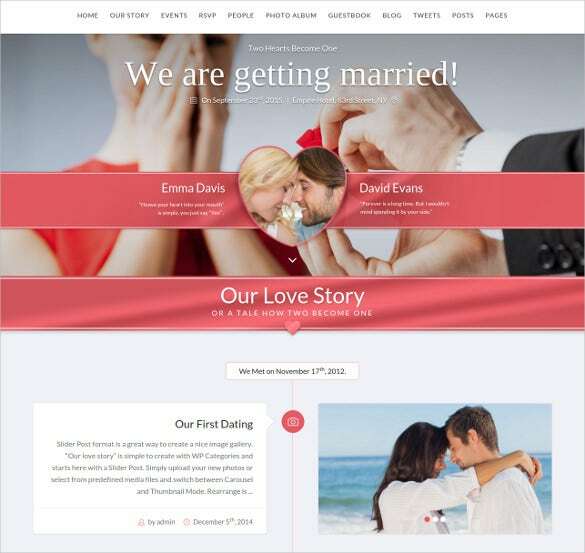 It allows you to include all the major details about your wedding, including your story. 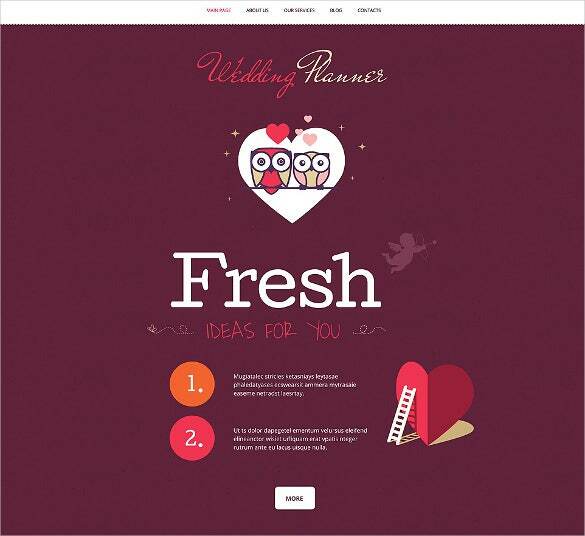 If you are looking for a great template for your wedding planning agency, this is the template for you. 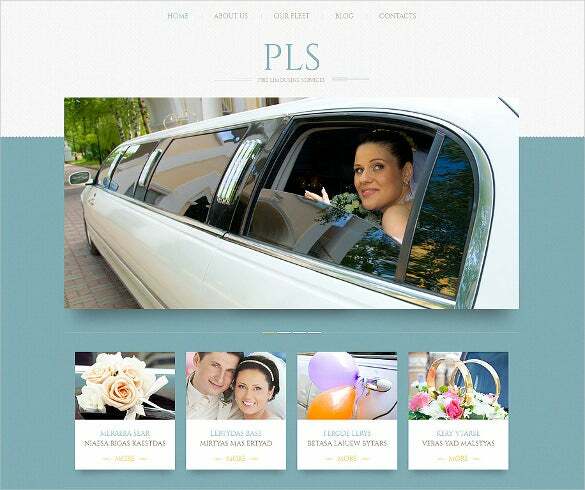 It opens with a lovely picture of a couple, your welcome note and then straight goes on to your various services. Nothing can be more romantic than the picture of a guy proposing to his girl which sets the perfect mood for this wedding theme. The presence of red further accentuates the joyous romantic mood. 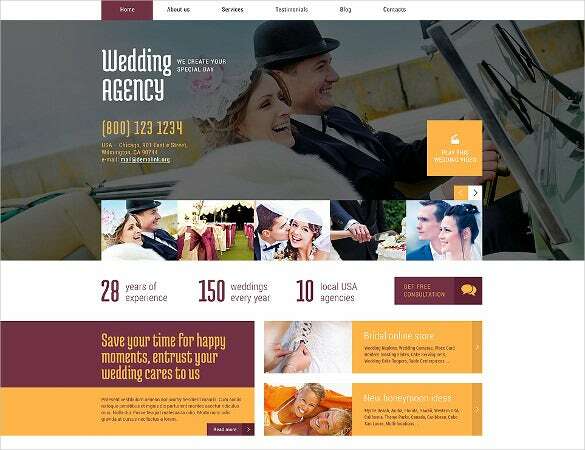 Our collections of templates are available at very affordable prices and can be easily customized according to your preference. 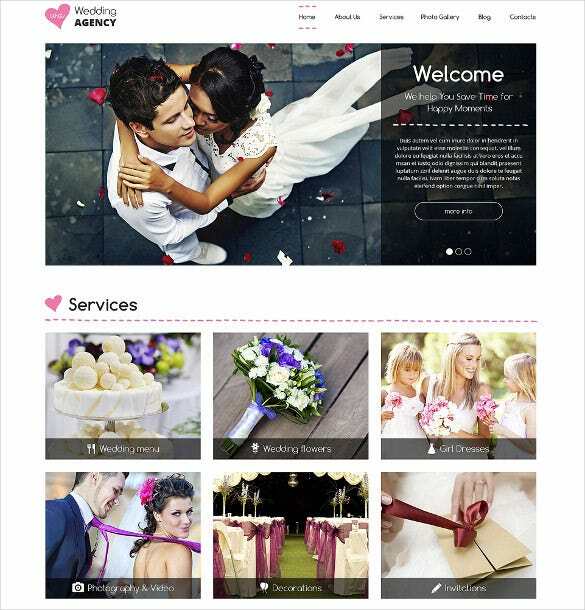 Download from our premium range of themes with well structured attractive gallery, easy to configure homepage and contact page with powerful plugins like PHP contact forms, revolution sliders, carousel headers and other useful features.